We put our energy into reducing yours. Harnessing solar energy can be a greener, smarter, less expensive and more independent choice for your home or business. But solar can also be confusing. Is it really the best option for me? How much will I save? Who can I trust to make the process easy, affordable and effective? The answer is Southern View Energy (SVE). We are the solar experts. And we have built our reputation on helping customers decrease energy costs by offering the right advice, knowledge and options. Our single focus is to bring you best solution available. Sure, we are solar energy nerds…but you’ll be glad you called us! 5 Questions to See If You’re a Good Candidate for Solar. 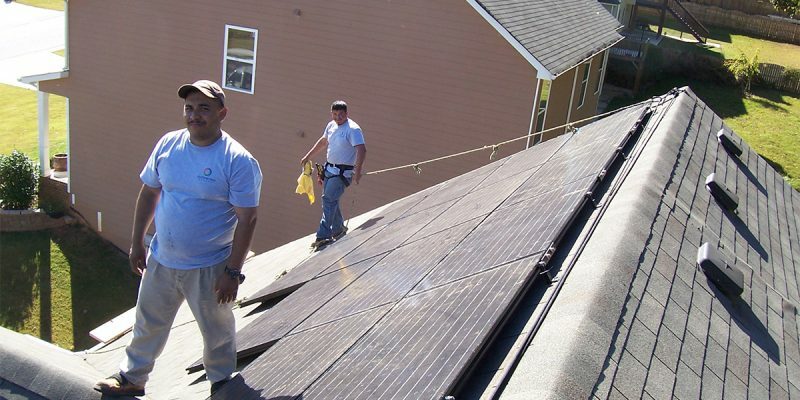 Learn more about the steps to getting solar powered energy for your home or business today. Some of our Residential and Commercial solutions. We can help you find the solar solution that is right for you. Take a look at project gallery for ideas on how we could help you. Could your business benefit from a solar energy solution? Take a look at recent project solutions we created for businesses in our neighboring communities.